Investors of Toronto-Dominion Bank (TSX:TD)(NYSE:TD) experienced a pullback of over 5% for the week and saw shares close as a price of $66 due to a news report which alleged a toxic sales environment for certain staff members within the company. The bad news for existing investors: the stock went down. The good news for new, potential investors: the stock went down. The bad news for new, potential investors: the stock went down, but not enough. Shares of Wells Fargo & Co (NYSE:WFC) were trading throughout 2016 at a price close to $50 per share until the “scandal” broke which caused the shares to decline to under $45 per share. Although the selling practices of the institution were questioned, and a fine in the hundreds of millions of dollars was levied; the preponderance of “over the line” selling practices ruining the party for everyone is quite false. Investors who ignored the headlines with the Wells Fargo situation have seen their shares increase to Friday’s closing price of $58.85. 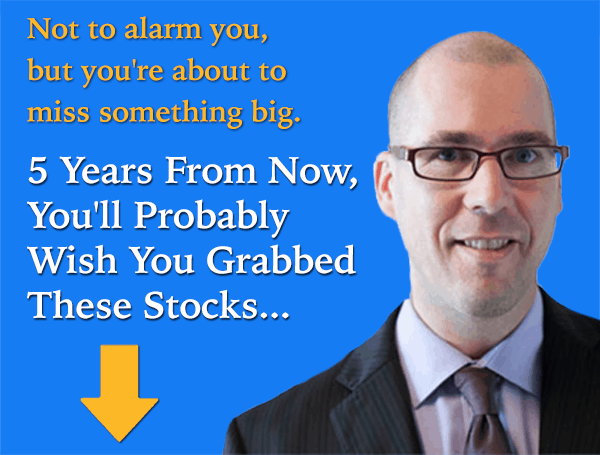 The move from under $45 per share to over $58 took less than six months! Certain investors are obviously very happy about the speed bump at Wells Fargo. Getting back to the Canadian bank, which now has many locations in the United States, Toronto-Dominion Bank has experienced a fate no different than any of Canada’s other banks. Over the past 12 months, shares have performed exceedingly well. In fact, due to the incredible run of many of Canada’s financials, the entire sector is overvalued. At a price of $66, shares of Toronto-Dominion Bank offer a dividend yield of 3.64% and trade at a trailing price to earnings (P/E) ratio of approximately 13.7 times. Investors always need to ask themselves, “What am I giving (paying) and what am I getting?” But the truth is, before we can ask this question, we need to know about the history. Looking at the P/E ratio and dividend yield, we know for the past fiscal years that the company made profits (earnings per share), excluding extraordinary/one-time items, of $4.67 (2016), $4.21 (2015), and $4.14 (2014). Additionally, dividends declared were $2.16 (2016), $2 (2015), and $1.84 (2014). Before moving on, it is important to note the dividends divided by the earnings per share are 46% for 2016, 47% for 2015, and 44% for 2014. The percentage of profits paid to shareholders has remained consistent. Looking now to the trading range in the share price per year, the 2016 (fiscal year) low price was $48.52, while the high price was $61.03. This translates to a P/E multiple which ranged from 10.39 times to 13.07 times. Continuing on, the dividend yield in the same fiscal year ranged from a yield of 3.54% (high price) to a yield of 4.45% (low price). Looking at the same data for fiscal 2015, shares traded in a range between $47.75 and $57.89. The P/E multiple ranged from 11.34 to 13.75 times. The dividend yield ranged from 3.45% (high price) to a yield of 4.19% (low price). Clearly, there is consistency in the numbers. At a current yield of 3.64%, shares may be starting to look attractive. The challenge, however, is for investors to find undervalued securities instead of securities which trade at current P/E ratios close to 13.5 times. With earnings per share for 2017 expected to come in at close to $5 per share, the shares of Toronto-Dominion Bank are clearly overvalued according to past metrics. Should more bad news hit the wire for the company, a major buying opportunity could present itself for investors in the near future. Until then, it may be best to wait for things to fall further.